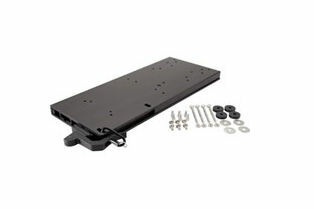 Quick-Release bracket ensures quick installation and removal of electric trolling motors. The bracket's low profile and small footprint takes up minimal space on a boat deck. Positive-locking mechanism delivers a rigid mounting platform for the trolling motor, eliminating noise and movement. Full-cast aluminum base adds stability. Stainless steel hardware included.